As this couple neared retirement, one of their concerns was the constant maintenance their deck required. They had an existing deck that seemed structurally sound, but the redwood decking and railing was now showing signs of wear and tear. The sun's UV rays had done their damage over the years and the grain was starting to lift in many areas. 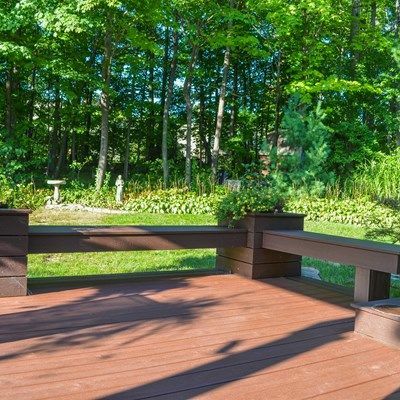 Located in Northeast Ohio, this deck had been punished by the winters and moisture and was also showing signs of decay in certain areas. 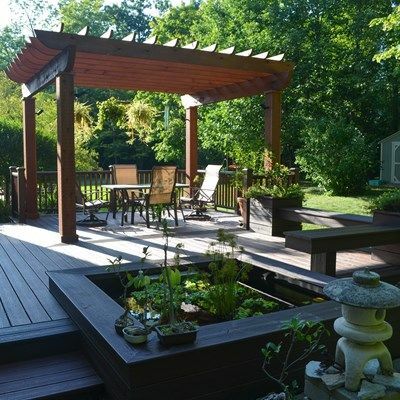 Having used the deck often, the couple liked the layout and size of this deck. It was only 15 years old and was well designed to flow with the house and backyard. During our first consultation we determined that the deck was structurally sound and would be a good candidate for area resurfacing. They wanted to add a little area by the staircase that would lead to the patio - other than that the original deck design stayed the same. This time around the couple decided that they would invest in a Trex Transcends low-maintenance deck. 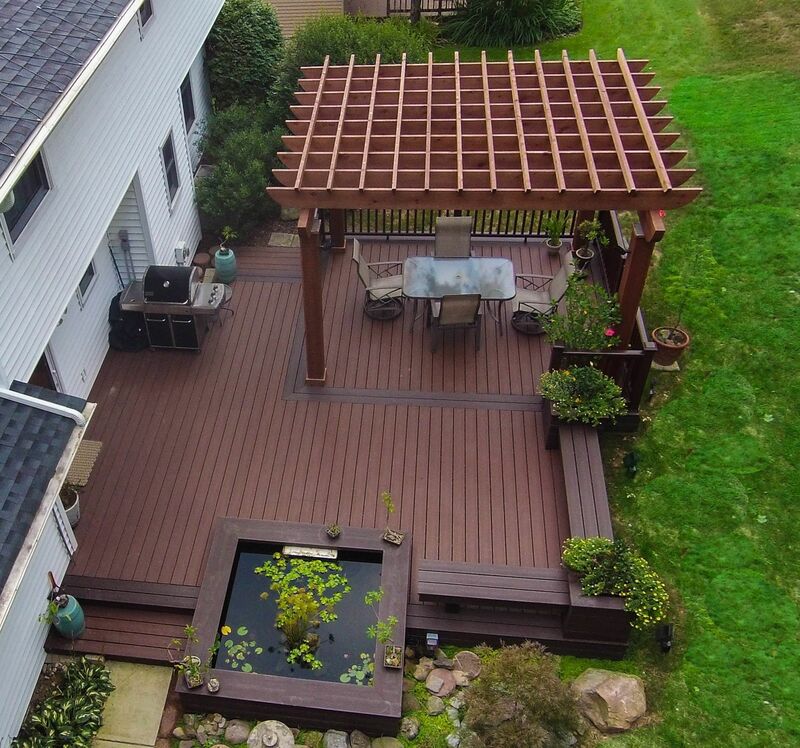 Since one of their primary goals was to prepare their backyard for retirement, low maintenance decking was the natural choice. We striped down all the decking, railings, and fascia, and the composite decking was installed with hidden fasteners, our standard installation, for a smooth and seamless look. For safety and mood lighting they added a low-voltage lighting package that finished this deck off with a glow. It was an incredible transformation from a solid, old deck that was not being used, to a new, revived structure that became the main hub of summer weekends.